Musings 'n scribblings of a philanthrope .. : RIP Prof. ECG Sudarshan . 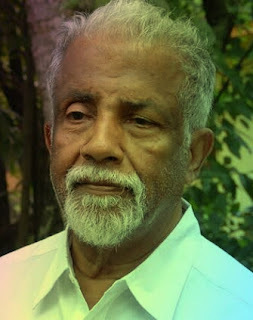 RIP Prof. ECG Sudarshan . 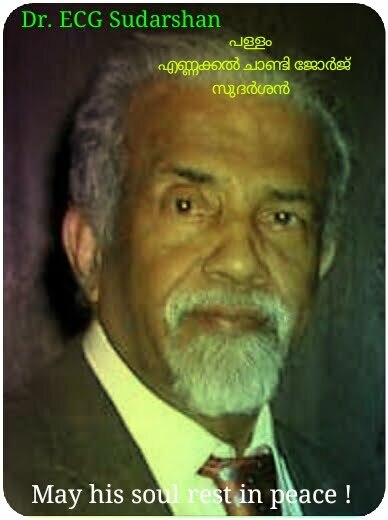 86 year old Padma Vibhushan Dr. ECG Sudarshan is no more. After PhD from Rochester, Dr ECGS taught for 2 years at Harvard Uty, Uty of Texas, IISc and TIFR. His greatest contribution was the discovery of Tachyon particles which travelled faster than light and challenged Einstein ..
Prof. Sudarshan was recommended for Nobel Prize record nine times, but was unlucky .. He hails from Pallom, Kerala. The generally high levels of intelligence observed in Kerala reiterates the Jewish claim of the lost two Jewish clans to have migrated to South India and established their roots in Kerala among the Syrian Christians. Rest in Peace Sir !! Believing in ourselves !! DACOIT ! !